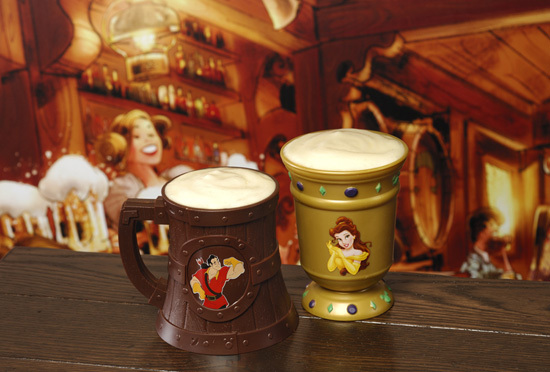 Gaston's Tavern in the New Fantasyland, which is set to open Dec. 6 (preview will start on Nov. 19), will have its own signature drink. Served in a souvenir stein or goblet is LeFou's Brew (yes, his sidekick has a drink). It's a no-sugar added frozen apple juice with a hint of toasted marshmallow, topped with all-natural passion fruit-mango foam. If you've been to Disneyland since the opening of Cars Land it's the frozen beverage served at the Cozy Cone. The tavern even has its own signature sweet treat, warm, gooey cinnamon rolls. Thanks Gaston! I had speculated on this when the quick-service restaurant was announced and couldn't get a confirmation of these at D23 last year. So glad that it did happen!